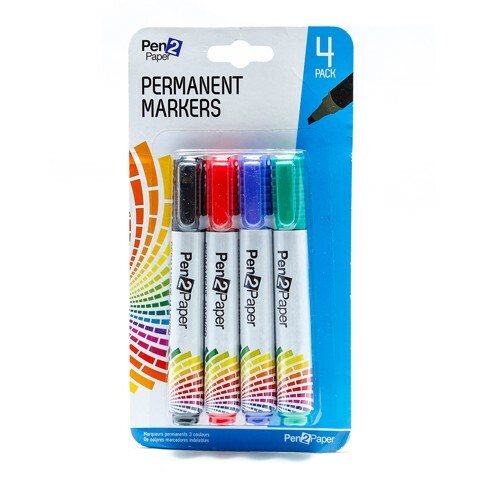 Permanent Markers Mixed 4Pk. 13.2cm x 1.7cm Rd. 4 Assorted Colours In Pack: Black | Blue | Red | Green. Felt Tip | Plastic Shaft | Alcohol Based Ink. 16G Packaging: Blister Card.